Dr. Scyatta A. Wallace, otherwise know as sassy.sage, is a Psychologist and teen expert with over 15 years experience working with youth and youth serving organizations. Her mission is to help empower youth to achieve overall health and wellness by educating teens, parents and organizations that serve them. Her primary focus is creating health related programming, leadership & life skills training, and socially focused media. 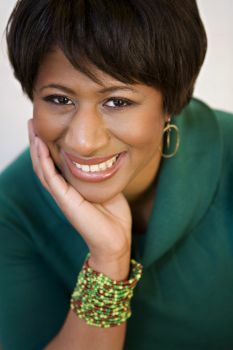 Dr. Wallace combines her love for arts and educating youth as CEO/Founder of Janisaw Company (www.janisaw.com), a curriculum design firm specializing in creating leadership development and life skills programs/workshops for teen girls and young women. Janisaw Company’s signature product, THE MIND MAKEOVER® , is an interactive self-esteem workshop series specifically tailored for groups of tween (grades7-8), teen (grades 9-12) or college-aged girls. Janisaw Company has created tailored programs for many youth serving organizations; including the Mary J. Blige and Steve Stoute Foundation for the Advancement of Women, Now, Inc. (FFAWN), Urban League, YWCA among others. Dr. Wallace is a sought after motivational speaker and workshop facilitator who has created engaging programs for thousands of youth. She is a featured expert in media outlets such as BET, NY1, The Michael Baisden show, Essence, Girls Life, Time and US News & World Reports. Dr. Wallace received her BA in Psychology from Yale University and her PhD in Psychology from Fordham University, where she specialized in child and adolescent development. She is currently an Associate Professor of Psychology at St. John’s University, where she teaches and mentors students.